Ozzy Osborne Golden Ticket Harmonica – signed and played by Ozzy himself! We’ve managed to acquire one of the Golden Ticket Ozzy Osborne harmonicas that has been signed and played by Ozzy. 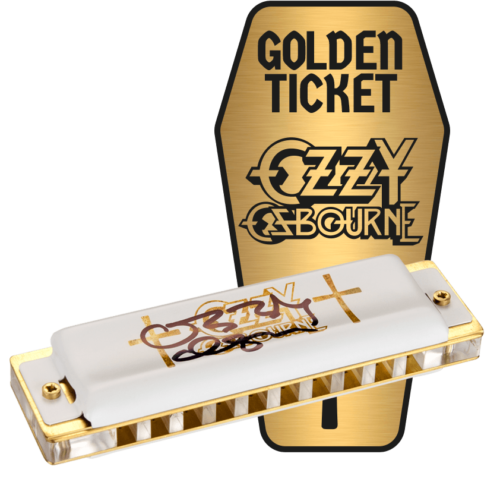 Limited to a production run of only 50 units worldwide, these harps are super collectable and were not available to buy from new (and, as far as we know, this is the only one currently for sale) – the only way to obtain one was to buy a standard Ozzy harp and hope that it contained the Golden Ticket. Like the standard Ozzy harp, the Golden Ticket model is MS based, but comes with a transparent acrylic comb and white cover plates signed by Ozzy. 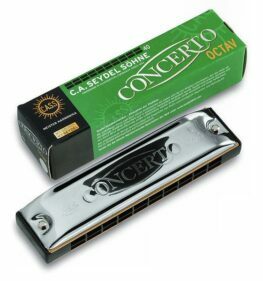 As well as being signed by Ozzy, all 50 Golden Ticket harmonica were also played by him. 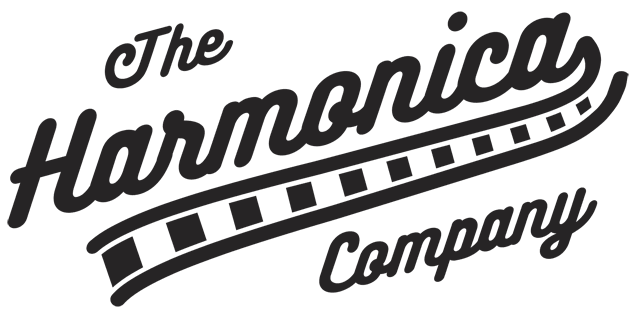 This is an extremely rare and collectable harmonica – perfect for fans of Ozzy, and likely to appreciate over time.